So far, there’s no color called “idiot”, but maybe there should be. These “innocent, young women of color”–Reps. Ilan Omar (D-MN), Rashida Tlaib (D-MI) and Alexandria Ocasio-Cortez (D-NY)–certainly have the melanin quotient and gender for political office these days, all they lack is viable ideas and honesty. Are we getting the government we deserve? Time will tell. MSNBC’s Craig Melvin and guest E. J. Dionne of The Washington Post discussed the dangers to Republicans over their criticism of Reps. Ilan Omar (D-MN), Rashida Tlaib (D-MI) and Alexandria Ocasio-Cortez (D-NY). Ah yes, the danger of pointing out, excuse me, the “criticizing” of …..what? Their skin tone? Their gender? Their sexual preference? None of the above, rather their actual words and ideas. Opposition politicians might call their rhetoric offensive, and their ideas unworkable. I, not being a politician, can say their rhetoric is asinine and their ideas are stupid. Are they stupid? Maybe, maybe not, but if not, then they know their ideas won’t work, and can’t be implemented nor afforded. But by proposing such ideas, like the “green New Deal”, they treating the voting public as if they are stupid. Or perhaps they really do think their ideas are good. Then they are stupid at worst, arrogant and uninformed at best. So which is it loud-mouthed ladies of color, are you stupid or cynical, ignorant or dishonest? Because it’s one or the other. About that “criticism”, it’s mostly pointing out what’s wrong with your ideas. Isn’t that okay? Or does your melanin content and gender render you immune from the truth? AOC, in office for one month, has now proposed the most enormous seizure of power in US political history. She is not innocent. She is calculating and dangerous. Perpetual victim Rashida Tlaib lamented in a tweet that her voice has been “shushed and reduced” because she’s a woman of color. From day one, when she announced, “We’re going to go in and impeach the motherf—er,” she captured the attention of the American people and has held it. No member of Congress receives more media attention than AOC, Omar and Tlaib, not even Nancy Pelosi. So quit your whining and victim posturing. Be responsible for what you say and propose! We must continue to resist their proposals, thwart their attacks on free enterprise, and criticize their anti-Semitic rhetoric. The color of their skin and their gender is irrelevant. Ha! Well said. You made me laugh thinking about the idea of being an idiot of color. Well, it’s true! 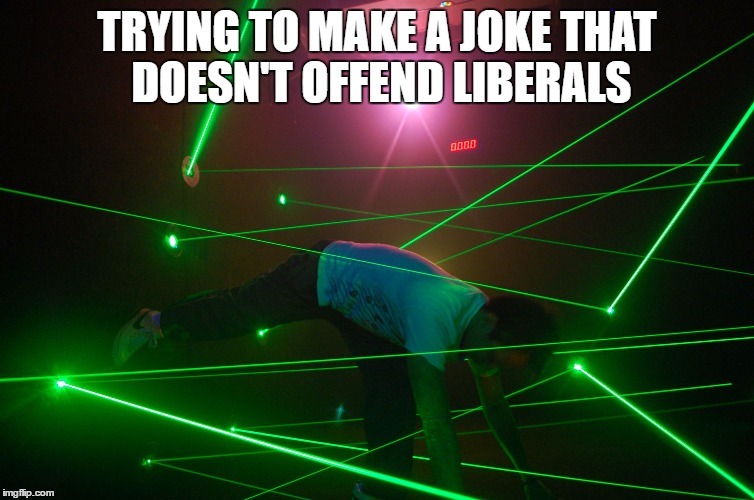 No one should be offended, that’s part of life. We’re all idiots of various shapes and sizes. I listened to MSNBC the other day and they actually said, “if we don’t get Trump out of office, the consequences are dire….he could get himself re elected.” They really said that. I about fell out of my chair. Previous Previous post: This needs to be said. Next Next post: Pride kills…..